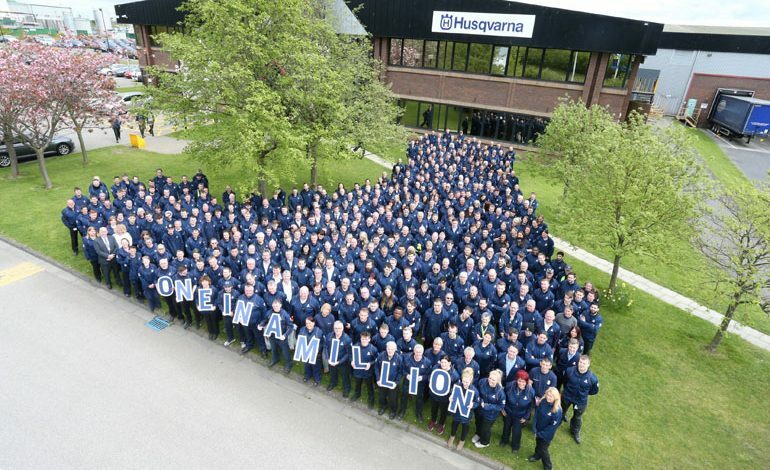 Newton Aycliffe manufacturer Husqvarna saw sales climb by £43m last year – but the Brexit-hit pound has hit profits. Despite turnover at the Aycliffe site rising to £196.4m at the end of 2016, profits dropped 22% from £8.4m to £6.5. Husqvarna said the lower profit figures were a result of increased costs, particularly as a result of the fall in the pound following last year’s Brexit referendum. A statement said: “Sales increased significantly with the main increase coming from sales to affiliate overseas group companies, although there was an improvement in domestic sales too. The material cost pressures were largely caused by the weak value of the pound against the US dollar, as the firm buys large quantities of its components from there. Husqvarna’s strong sales growth was achieved because of an increased demand for its robotic products, the firm said. Costs outstripped turnover growth throughout the year, however, with Husqvarna’s total sales costs increasing by 35% to £173.6m. Husqvarna earlier this year celebrated production of its one millionth robotic lawnmower at its Aycliffe site (pictured above), which employs more than 600 people peak-time. Husqvarna UK operates through four main division. The Husqvarna Division focuses on forest, park and garden products, while its Gardena branch specialises in watering and lawn care products. The firm’s consumer brands division contains a portfolio of retail brands, while the construction division deals in machinery and diamond tools for the stone industries. Husqvarna added that it believed its local profits were not comparable on a year-on-year basis because it operates a global transfer price model.